You've heard the old adage about doctors being the worst patients. Sometimes, digital agencies are so busy with clients they don't give themselves a check-up. Or a Facebook audit. But first, we're putting ourselves to the test. What better way to evaluate a process than by going through it, step-by-step? Yes: we're performing a Facebook audit. What is a Facebook audit? In short, it's an itemized way to evaluate your presence on the site, a checklist to see if your profile is complete, branded, substantive, and engaging. Facebook is always evolving and growing–it's imperative that your business has a standard way to make sure it's making the most of the platform. Why is auditing your Facebook important? It sounds unglamorous, but auditing your social media is a necessary step to maximizing your online potential. Our Facebook audit is just one piece of a bigger picture: from Instagram to Google+, Pinterest to LinkedIn, we want to help you set up your online presence for success. With our suite of auditing services, we can fully assess where you are. Then, we can strategize your transformation. Over the next few weeks, we'll post about Facebook: what's working, what isn't, what we've discovered, what's on the horizon. 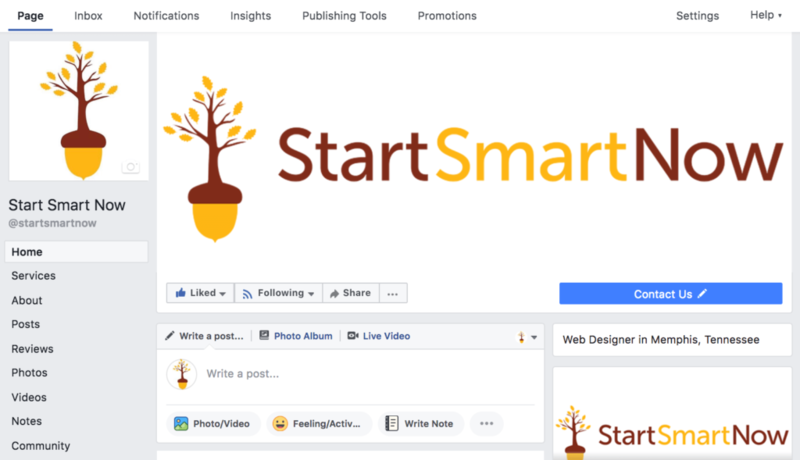 All while putting Start Smart Now through the paces of its own Facebook Audit & Action Plan. This is a process, but it's also a conversation. We want to hear from you. What are your challenges on Facebook? What's confusion, frustrating, or inefficient? Don't know where to begin? Comment and message us anytime. We're in this together. Breathe deep. Hold on. I hear there's a lollipop at the end.